It's fair to say that in the 27 years since the Jordan F1 team was founded, it has had an interesting, if rocky, history. With more name changes than Cheryl Tweedy, the Silverstone-based outfit's latest incarnation is as Racing Point Force India, which, courtesy of a consortium led by Canadian billionaire Lawrence Stroll, has emerged almost Phoenix-like from the ashes of Force India. Eddie Jordan, who entered F1 as a constructor in 1991, having achieved success with his racing team in various junior disciplines, finally sold the popular outfit at the beginning of 2005, at a time its glory days were rapidly becoming a distant memory. In the years that followed the team went through a series of ownership (and name) changes until Vijay Mallya came along in late 2007. Little by little, the Silverstone-based outfit became the little team that could, punching well above its weight and achieving success on a budget that would barely power the leading teams for more than a few races. 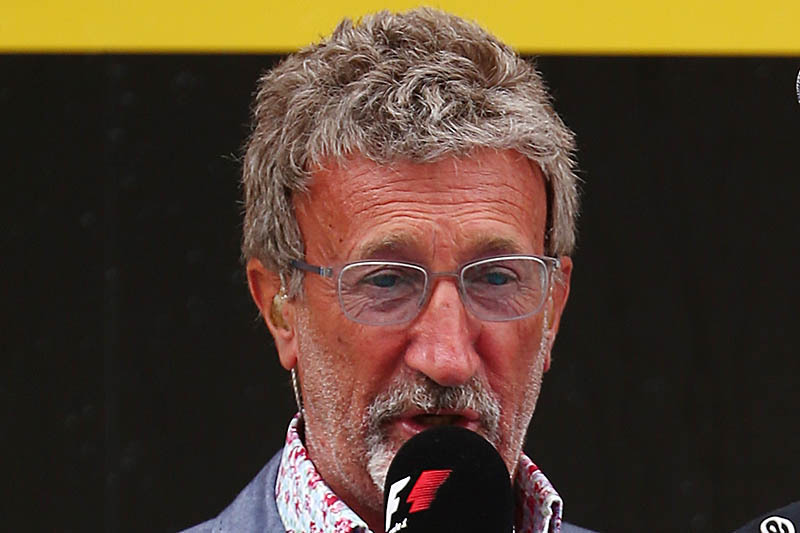 In recent weeks, as its financial issues came to a head, and having been put into administration, the team was snapped up by a consortium led by Lawrence Stroll, and while the various political issues rage, the man that started it all, Eddie Jordan, believes that the Canadian is the best thing that could have happened to the team. "Shnaider, Kolles, Vijay... what they have done under the circumstances has been remarkable," said Jordan in the latest podcast for the official F1 website, as he referred to the team's former owners. "The achievements of Force India, when you think how little they have had over the last ten years is absolutely staggering. "I can tell you in terms of the man committed to success, Lawrence Stroll will make an amazing job here. Look what he did with Tommy Hilfiger. Look what he did with Michael Kors. Look what he did with all the brands he has been involved in. "The man has a Midas touch. If he can put 10% of that touch into this team, this team will be absolutely great." Check out our Thursday gallery from Monza, here. "I can't agree with Mr Jordan here at all. Did he bring his 'Midas touch' to Williams? Now, there's an iconic brand that was in need of resuscitation. As far as I am aware, Mr Stroll did not buy one share in the business. The investment was entirely in Lance and paid for by buying and selling space on the car. (JCB, Canada Life.) You might even consider that Williams was hobbled by giving a seat to someone hopelessly unprepared for F1 in his rookie year. Turn arounds in the fashion industry are all about branding, asset stripping and downsizing . . . I would venture to suggest that this can not be applied to F1. "